Club Esperanza serves 300 children every day and we really wouldn’t be able to meet the needs of all these kiddos without the help of friends from all over the world! Plumcreek Church from Colorado came last week and jumped right in feet first at Club Esperanza to make a Kingdom impact on the lives of fifty first and second graders! They came ready with hands for labor and funds to get to work making Club Esperanza a more beautiful, fun and safe place for everyone. During the mornings the group worked hard painting the veranda and main buildings to cover up the scuff and rust that the Nicaraguan sun can put on any surface, making everything a little bit prettier. The fun came when they purchased new playgroup equipment and installed it (there is nothing quite like breaking up old concrete with a pick axe!) As far as safety goes, we installed safety lighting for night time security at the Club. It was lots of hard work, lots of sweat and patience needed, but very rewarding to see the finished product. Along with the work projects we got to spend a lot of time with the first and second grade classes. Everyday for three days the group shared Bible stories and fun arts a crafts with the children. The rooms may have been swelteringly hot, but it was a really special time to interact with each of the children. 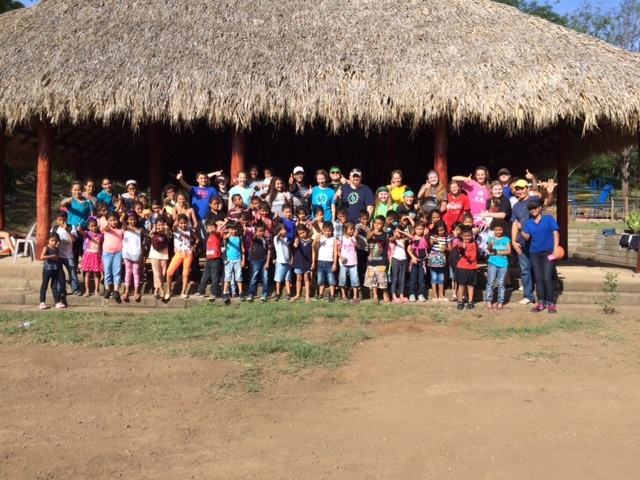 As we finished the week we loaded all of the kids on the bus with us and headed to the Zoo in Managua, and then as a finale to the week everyone went to Ruby Ranch for the day! It goes without saying, but the kids totally loved the special attention paid to them, all the fun activities and the new friendships they made. The group shared a special time at the beach on their last day. 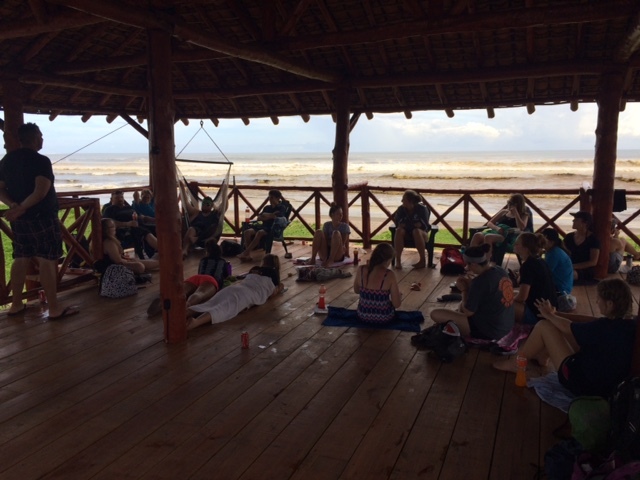 Reflecting on their week in Nicaragua and enjoying the Lord’s beautiful creation. The culmination of the day was a baptism in the ocean for one of the young women on the team. It was a great week! Love Light and Melody is an organization that has partnered with us for a number of years to impact the lives of all of the young people and the families from the dump community that was called La Chureca. This month they came down for an event called “Dia de Luz”, Day of Light in English. The origins of this event go way back to the our days in the dump when Brad Corrigan (founder of Love, Light & Melody) wanted to use art and music to shine the Light and Love of the Lord on the families in La Chureca. It was a wonderful weekend filled with concerts, dance class, murals being painted, and lots of fun! We want to say a special thank you to Rachael Paris and Kyleen Chambers who have spent the last six months living here in Nicaragua and working at Club Cristiana La Esperanza. They elected to finish their University studies overseas and lived with one of our teachers as a host family during their time here. They taught English class, tutored the children at Casa Havilah and Casa Robles, put together an ethnography report on the surrounding community and basically were hands on in whatever was needed during their time here. Zero complaints and lots of hard work…pretty awesome by two impressive young women! As they finish this week and head home, we send them off with our prayers and blessings. We are thankful for all their hard work and expecting the Lord to do great things in their futures. On their departure they wanted to make the lives of the teachers they have grown to love over these months better, so we went shopping. They wanted to use their funds to really leave a blessing, so they bought 10 “Crayola Lego” tubes, hundreds of dollars of school supplies, six new preschool tables, and more…nearly $1,500 worth of blessing. It was a huge surprise to our staff and a huge blessing from two young adults wanting to make a difference for the lord! Thank you for your time and dedication Kyleen and Rachel, may God richly bless you!